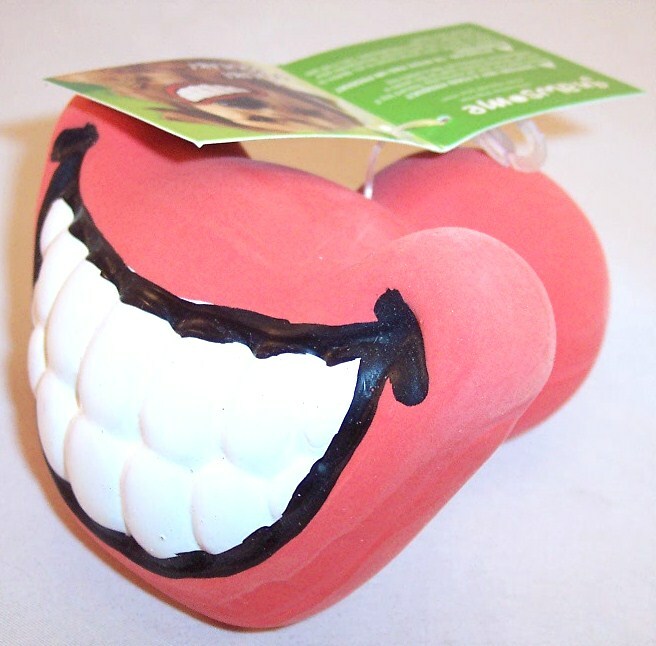 Lone Star Shopper: Pet Gift Box Review, March 2016 + 50% Discount on First Box! 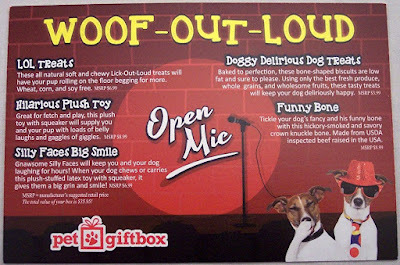 Pet Gift Box Review, March 2016 + 50% Discount on First Box! I couldn't agree more! Dogs bring an indefinable quality to our lives. Besides their sterling character, they provide steadfast loyalty, love and unflinching adoration. Of all the subscription boxes out there, it's not much of a stretch to say the dog boxes are the MOST deserved! 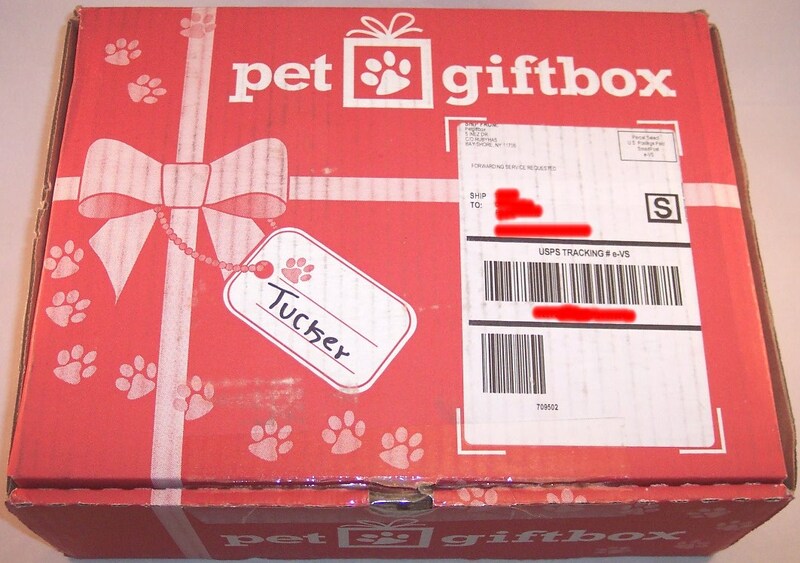 We've tried several of them around here but Pet Gift Box consistently sends fun and tasty treats that delight my boys Tucker and Dakota. 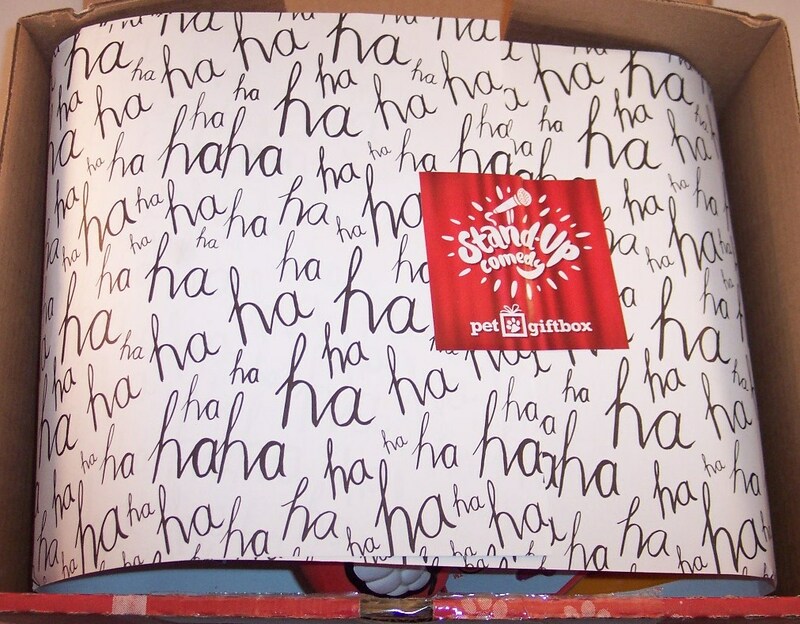 The theme for March is "Stand-Up Comedy". It really is amazing how well they source pet products around various themes with just the right mix of treats and toys. 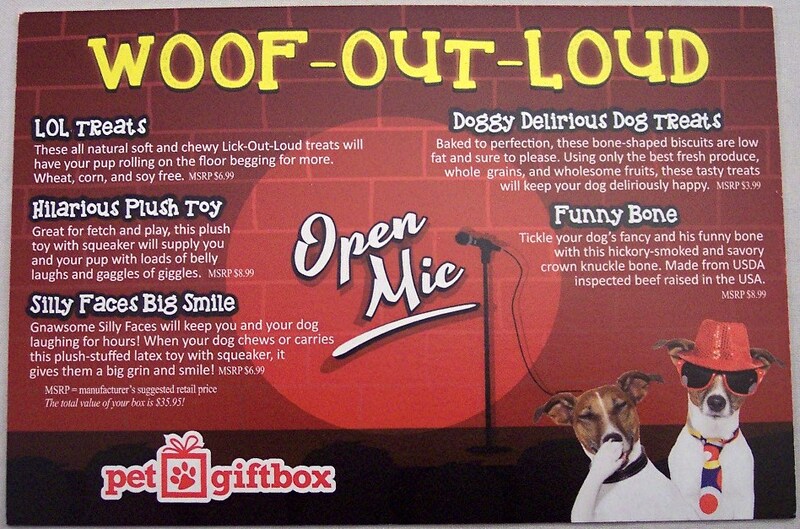 The "Woof-Out-Loud" information card gives a little info about each item on one side and provides social media contacts on the other side. Let's get the worst over with first! 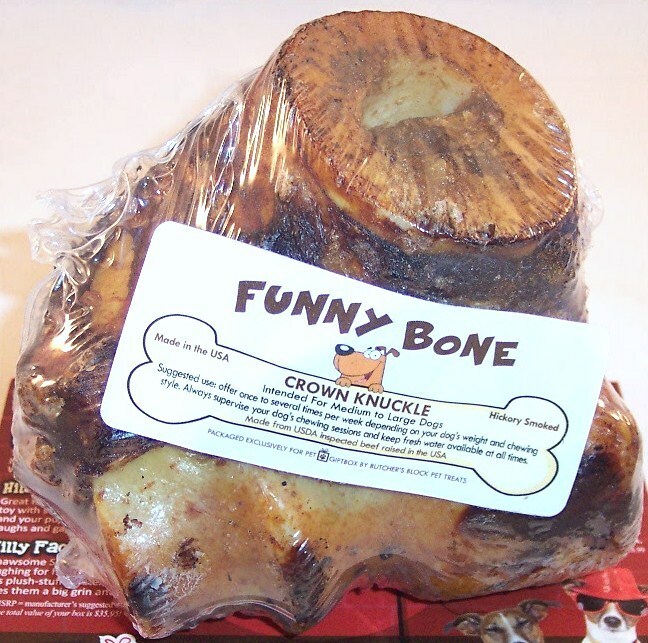 Of course, this disgusting "Funny Bone" (Ha!) crown knuckle will be the hands down favorite of both Tucker and Dakota. They are exceptionally good about sharing and this huge thing will last a long, long time in my back yard. Trust me...it won't be coming in the house! What better mascot for this box than a Bozo the Clown squeaky toy from Multipet? He has a squeaker in his head and another one in his stomach. Dakota, my bigger boy, will love this. 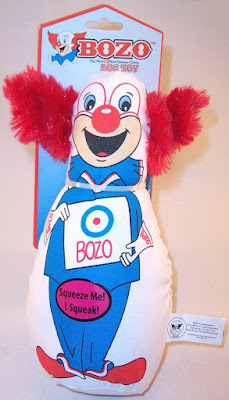 Poor Bozo's red hair is not likely to survive the first ten minutes though! Here is a box of Doggy Delirious Apple Cinnamon Bones which are natural wheat free treats. 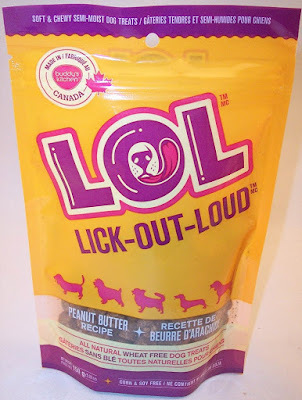 I have a feeling these will be a hit with the four legged population here. I particularly like getting training treats, which are small bites that pack a LOT of motivation. Dakota has been working on sitting up and begging when he wants something rather than fully extending on his hind legs and dancing for his dinner. (cute but sometimes hazardous for both of us) He's doing quite well thanks to rewards like these Lick-Out-Loud Peanut Butter treats. 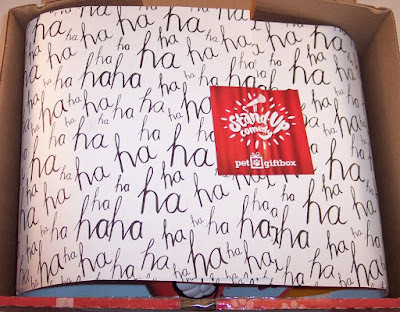 That's it for the March box. 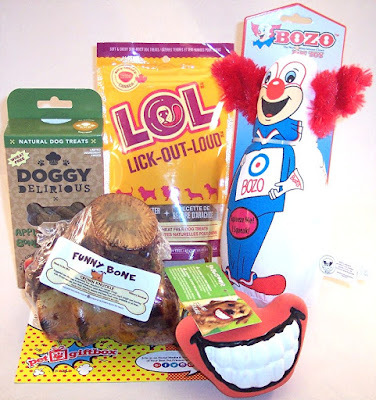 I thought Pet Gift Box did a wonderful job of finding toys and treats that work with the clown theme. 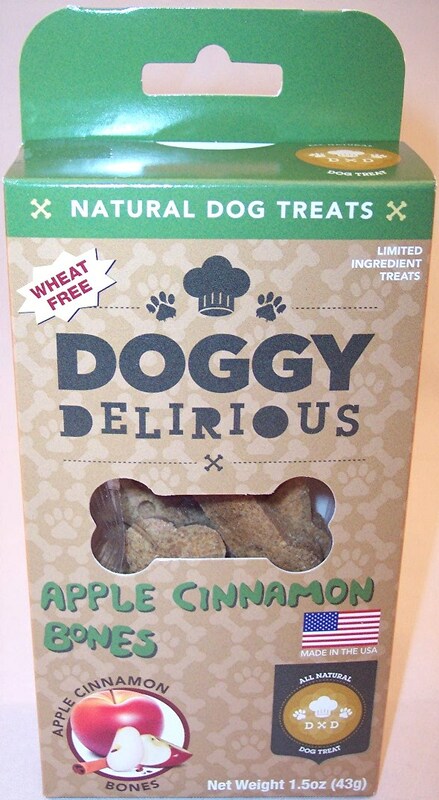 These are all things that one or the other or both of my dogs will absolutely love. If your pup could use a Pet Gift Box, click here to get 50% off your first box! This is a terrific deal for new customers and I think you will be quite pleased with what you get. 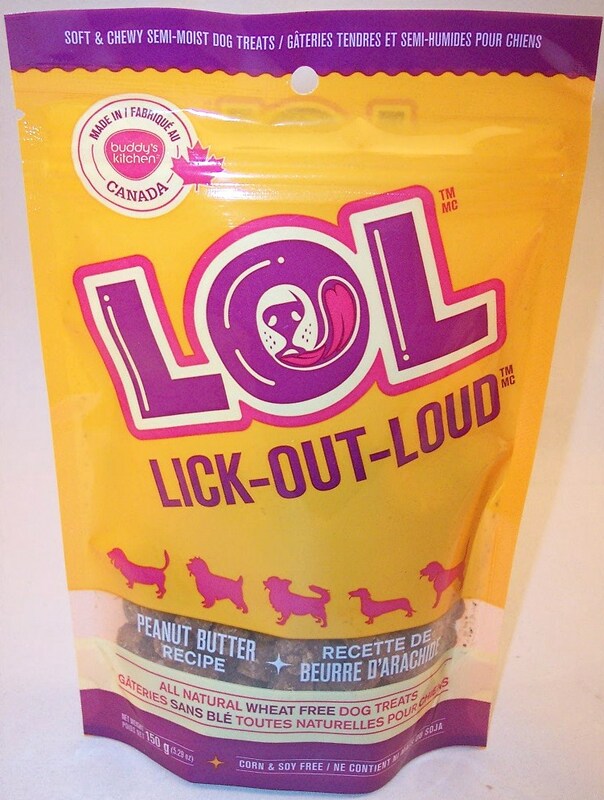 Your dog will be ecstatic!